Centervillle Care and Rehab strives to create a loving home and provide healing and compassion for all who are placed in our care. We not only offer Assisted Living and Skilled Care in our fully modernized facility, we also offer a full slate of inpatient and outpatient rehabilitation services to all area residents. Check out everything we have to offer by clicking the links above. 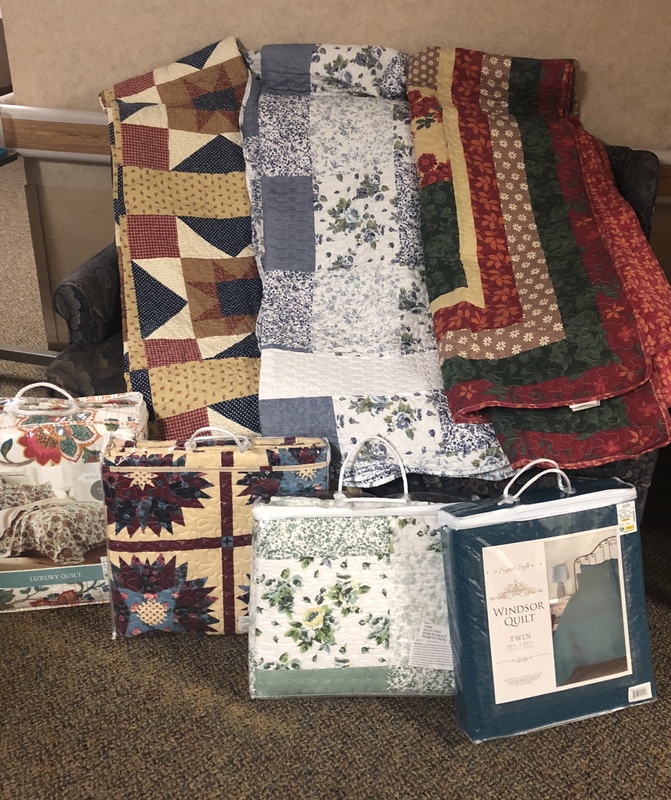 CCRC would like to thank the Smith and Bobzin family for donating quilts in honor of Betty Smith to the residents. Betty was deeply loved by all of us and these quilts will serve as a great reminder of her presence for many years to come! The generosity from this family has been outstanding, we truly appreciate all you have done and all you continue to do. It was such an honor to be a part of Betty's life, we will miss her and think of her fondly. Check out our quarterly news letter here.